2017 New Year’s Eve Charity Ball! 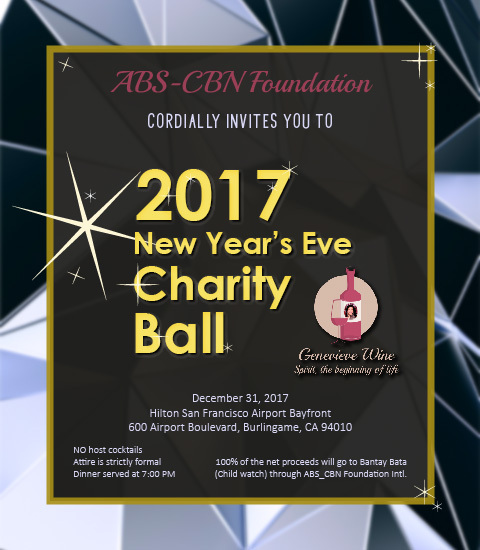 Come toast the New Year 2018 with Genevieve Wine and ABS CBS Foundation! Bring your favorite Tango music to be played by the DJ.